Salisbury UK, June 25 2013. 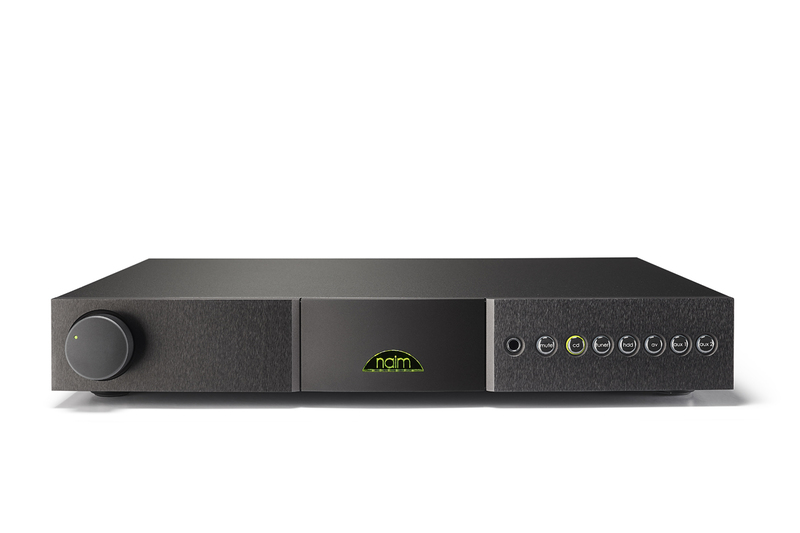 The NAIT amplifier, first launched in 1983, is one of Naim’s most iconic products. Early models are still much sought after by music enthusiasts. In celebration of Naim’s 40th anniversary, three new and improved integrated amplifiers are superseding the existing NAIT 5i, NAIT XS and SUPERNAIT. The new products will be available at Naim retailers from mid-July. 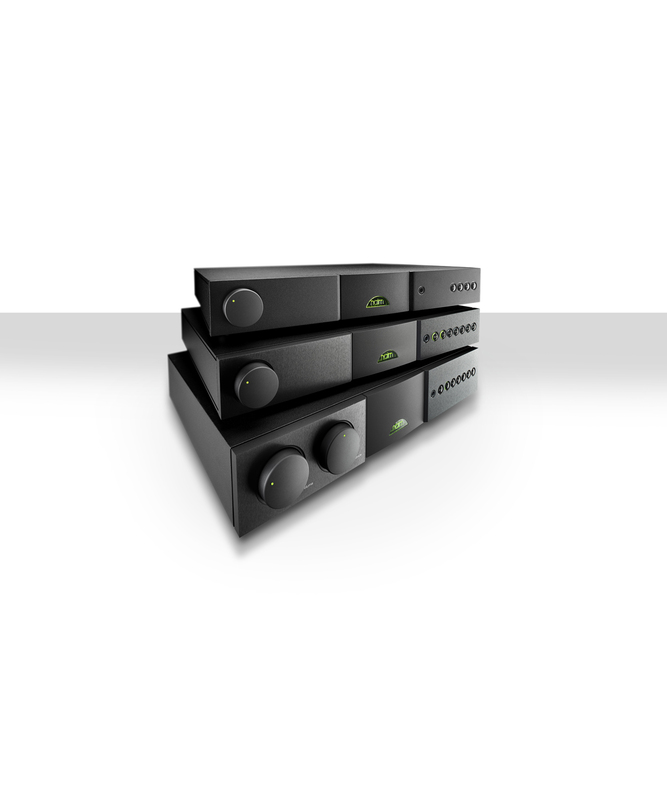 In true Naim tradition all three amplifiers feature larger mains transformers and improved power supplies. Power supply is key to the performance of any hi-fi product and arguably more so in the performance of an amplifier. An improvement to a power supply can often be seen on the test bench, but much more significant is the performance increase it brings to the real world of music playing. All three amplifiers have gained a solid reputation for delivering a musical performance at the top of their respective classes. These new and improved models will only enhance this reputation. Naim are especially proud of the consistency of ‘voice’ or character of the three new Naits. Upgrading from a NAIT 5si to an NAIT XS 2 or from a NAIT XS 2 to a SUPERNAIT 2 brings more power, a wider dynamic range, more slam, lower noise, a more defined more powerful low end but intrinsically the character remains the same. The power output has increased from 50W to 60W due to a larger transformer and improved power supply. Components have been upgraded in critical areas such as the power amp stage where small signal capacitors have been changed to high quality film types. The PCB layout and wiring loom have been improved following experience on other new products such as the DAC-V1. The power output has increased from 60W to 70W due to a larger transformer and improved power supply. The headphone output on the front panel is now on a ¼ inch (6.35mm) socket and is driven from a new high-quality Class-A headphone amplifier; reflecting the increasing interest in high quality headphone playback. Constant current source circuit techniques are employed to provide ultra-quiet drive signals for relays. Ceramic heat sink isolators are used to improve sound quality as there is less capacitive coupling between devices and the chassis in the power and preamp sections. Components have been upgraded in critical areas such as the power amp stage where small signal capacitors have been changed to high quality film types. As with the NAIT 5si, the PCB layout and wire looming have also been improved. The most significant change from SUPERNAIT to SUPERNAIT 2 is the removal of the digital inputs. As the SuperUniti already fulfils the role of integrated amplifier with digital inputs, it was felt that it would be more beneficial to performance to concentrate on an analogue only integrated amplifier. Removing the digital section also allows the power supplies to be further optimised for the analogue stages. Power output remains at 80W but with significantly greater dynamic capability due to a larger transformer. The power supply for the critical preamplifier stage uses Naim DR (Discrete Regulator) technology. All inputs are now hand wired so they are individually decoupled for improved microphonic isolation. Components have been upgraded in critical areas such as the power amp stage where small signal capacitors have been changed to high quality film types. The PCB layout and wiring loom have been improved following experience on other new products recently like the DAC-V1. The headphone output on the front panel is now on a ¼” (6.35mm) socket and is driven from a new high-quality Class-A headphone amplifier; reflecting the increasing interest in high quality headphone playback. Constant current source circuit technique employed to provide ultra-quiet drive signals for relays. Ceramic heat sink isolators are used to improve sound quality, as there is less capacitive coupling between devices and the chassis in the power and preamp sections. The headphone amplifier cleverly uses the pre-amp output amplifier for headphone drive. The moment headphones are plugged in; the output current drive is automatically increased fivefold to give dynamic drive for all headphone impedances. The amplifier runs from a high voltage power supply so has the ability to drive high impedance headphones with the voltage swing they require for open and dynamic sound. The result is the audio stages are kept as simple and pure as possible for both normal and headphone modes. Single ended Class-A is long known for its natural sound quality and exhibits zero crossover distortion. Its Achilles’ heel is that it is inefficient: for headphone drive this is not important so all the benefits can be exploited. The quality of the power supplied to the muting relays on an amplifier makes a surprising difference to the sound quality. 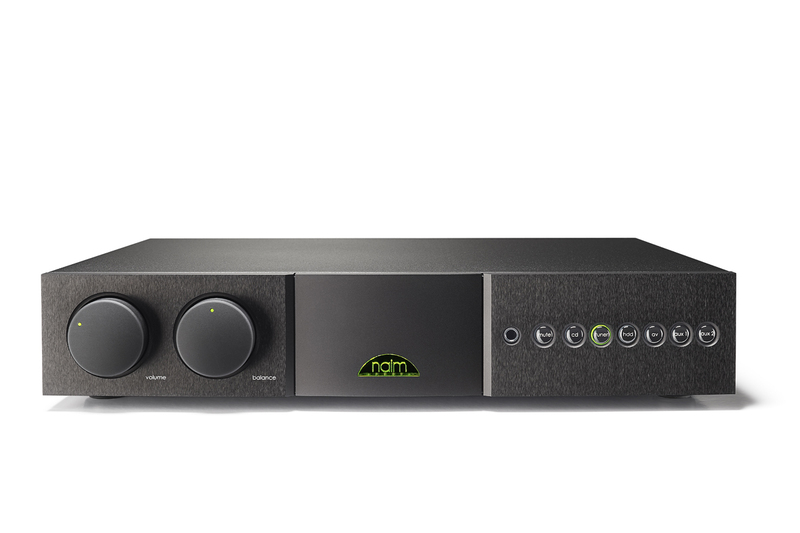 Naim’s R&D concluded with the reference NAC552 preamplifier that a constant current drive gave an ideal low noise supply and have been trickling down this implementation since.